Nauvoo Village was one of several settlements established and then all but abandoned by Mormons due to battles with their neighbors. The first was in Ohio, the second in Missouri, and then came Nauvoo in Illinois. This was the site that it’s founder Joseph Smith was killed and Brigham Young took over the leadership. Mauvoo has recently been been called the “Williamsburg of the Midwest” and to some degree they deserve that title but in others they fall short. Many of the building have been restored to the 1840s but many are still in private hands. Unlike Williamsburg there are obvious places that the 21st century invades including cars parked throughout the village. I think most, if not all the employees are of the Mormon faith so some don’t take criticisms lightly. All being said however, I found all the people in the village to be very friendly and more than willing to accommodate my deafness. Before I close I want to get in my “having my say” mode and talk a little about religion and Mormons particularly. During the 1800 years or so between the beginning of Christianity and the settlement of Nauvoo there were thousands of different version of Christianity invented. Many happened after Luther started the Protestant Reformation. And of course there have been about 20,000 or more different version since that time. I kind of find it ironic that there was as much ambivalence toward Mormons that there has been. Why were they driven out of so many settlement locations before they finally reached Salt Lake City? Are they that threatening to other Christians? 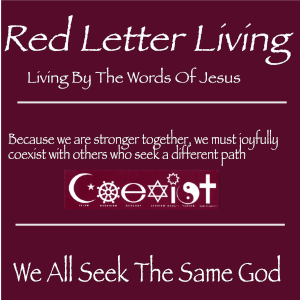 I have become a “live and let live” believer in Jesus Christ. That is I just don’t believe that any of the 35,000 version of this religion have a lock on what to believe. They are all just one person’s view of religion starting with St. Paul who had never seen Jesus and spoke little of the lessons of Jesus during his lifelong ministry. One great thing about America it that we, at least figuratively, believe in freedom of religion. Believe what you want as long as you don’t try to force your beliefs on others. Finally getting back to Nauvoo, this village is well worth it if you find yourself in the area. Here are some pictures from my visit. As usual click on any one to see a larger slideshow view.